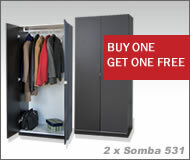 These closely resembles a twin wardrobe. It leaves adequate room for spacious storage. It consists of a hanging rod for easy access to hanged cloths for people that live on a fast pace. It also has 4 adjustable drawers for cloths that are best folded. 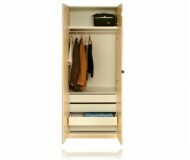 It is very suitable for a large room because it provides a maximum storage space for your well deserved clothing. 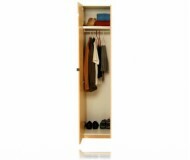 This wardrobe has the best way of keeping cloths smooth and wrinkle-free. This can be used for rooms that also need nization because of its well planned and designed compartments that maximizes storage as well as adding glamour and style to give your room a stunning and highly expensive look.